Impressionism is a microgame found in the Dance Club Rub stage in WarioWare: Touched! It reappears in WarioWare Gold, where it is one of Kat and Ana's microgames. It is named after an art movement of the same name. 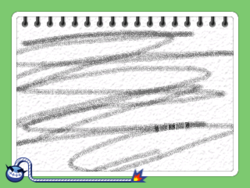 The objective of the game is to rub the stylus across the screen to reveal the coin. This microgame has twice the time to complete, as it takes time to reveal the coin. 1st level difficulty: The hidden coin to rub is small. 2nd level difficulty: The hidden coin to rub is medium. In WarioWare Gold, the coin is replaced by a button or an earring. 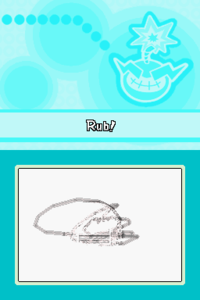 3rd level difficulty: The hidden coin to rub is large. In WarioWare Gold, there is a leaf or a medal instead. This page was last edited on March 11, 2019, at 17:25.